Seamax is a wholly owned Canadian company and any warranty issues are dealt with in Canada. Seamax carries the largest selection of accessories for inflatable boats in Canada. Our construction standards far exceed those set by Transport Canada. Once deflated and folded, SEAMAX inflatable boats takes up about as much space as a medium bag. You can store it in the trunk of a car, locker, under the stairs or in the corner of the garage, ready for the next weekend or holiday. Being an inflatable, SEAMAX Boats have a low center of gravity. It is practically impossible to capsize it. Whether stationary or cruising, SEAMAX inflatable boats are always stable. You can stand up when fishing, children are safe, and mooring is simple. Great as a family boat. The buoyancy tubes of SEAMAX HD Sport Boats and Air Series Inflatable Boats are made up of several independent airtight compartments including Tube Chambers with high pressure release valve(s) + 1 Keel Chamber. If one compartment unexpectedly deflates, the others remain inflated, making it nearly impossible to sink thereby allowing you to return slowly to safety. Seamax Boats have Exceptional quality workmanship that is unmatched by most other boats. Don’t settle for less than the best! Our Seamax HD Series Line of Heavy Duty Inflatable Boats have exceptional quality workmanship and are made by the leading manufacturer of inflatable boats. The Quality of our Seamax HD Series Inflatable Boats has been regarded as superior to its more widely known competitors and are mostly imported to Japan, Australia, New Zealand and Europe. If you want to experience the joy of boating without hassles of trailer, maintenance or marina expenses, then an inflatable boat is for you. Inflatable boats will fly with a gas outboard motor and will run quietly with inexpensive electric trolling motors. Great as an fishing boat. 80% of the conventional hard hull boats are used just several times a month and mostly in the summer time. Cost of conventional hard hull boats divided by the hours spent using it, converts to hundreds of dollars per hour of boat use. Our inflatable boats cost a fraction of the price of conventional hard hull boats, and will be ready when you are. Inflatable boats are the only portable solution that allows you to be in the water without the hassles of a large hard hull boat. Easy to set up, our Heavy Duty inflatable boats will take you for a fun day of exploration at the bay, river or lake. Once deflated, inflatable boats can be easily stored in the trunk of your car. 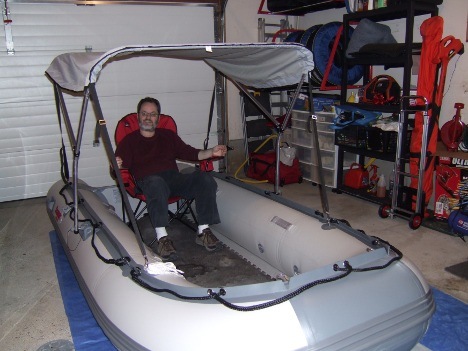 Inflatable boats are much easier to store in your home and don’t take up much room. If you like fishing, then go where the fish are. Inflatable boats will take you there, away from the waters edge and closer to the fish. If you like to spend weekends being closer to nature, then an inflatable boat is for you. If you have an RV or go camping, most likely you will be by the water. Take an inflatable boat with you.